What is the first thing that comes to mind when we say Robertson? It must be wine. Known for it’s wine tasting and beautiful views, this town in the Western Cape of South Africa offers much more than just your odd wine tasting on route down the coast. Have a look at our list of highlights in the area and extend your stay for a few days to explore this area more thoroughly. Here is our list of the 5 things to do in Robertson. Robertson is known as a wine valley, so of course, you have to do a wine tour. But which tour do you have to do? We definitely recommend the Viljoensdrift wine tour. This tour is nestled in the south of the Elandsberg Mountains. The main benefit of the tour is the possibility to do the tour on a boat down the river. Every first Thursday of June the Robertson wine valley will host the Wacky Wine Weekend festival. The festival takes place over 4 days and with over 40 wineries participating. Boutique wineries and tourist establishments showcase the valley’s award-winning wines. Thousands of wine lovers come to this lovely festival. For around R150 you are allowed to visit this festival every day. You also get a glass, water and a tasting voucher at every winery. Another popular festival is called the Wine on the river festival, which will take place every second Friday of October. This festival is known as the “most beautiful wine festival” because this festival takes place on the riverside farm of Goudmyn and gives wine lovers the opportunity to taste more than 250 wines from 30 wineries. The ticket prices are between R90 till R180 a day and R190 till R250 for the entire weekend. Want the best view of Robertson then head over and do the tractor trip in Montague. This tractor trip is Nestled at the foot of the majestic Langeberg mountain range. For more information check it here. If you want to do something different, then you have to visit the world’s largest hedge-maze.This botanical garden is chosen as one of four best botanical gardens in South Africa. A really nice part of this garden is the possibility to do a guided tour, where you can do a ‘’flower tasting’’ and you get to hug a cactus. This entrance has to be booked online here. If you are looking for an adrenaline rush then you have to go skydiving. Skydive Robertson is one of the longest running Parachute Association of South Africa (PASA) approved dropzone. You can do 2 different falls from 3.500 ft to 11.000 ft. Are you already excited? Book it here. So come for the beauty, the nature, the wine and get some rest in this beautiful part of South Africa, Robertson is just one of the many gems along the Western Cape of South Africa. 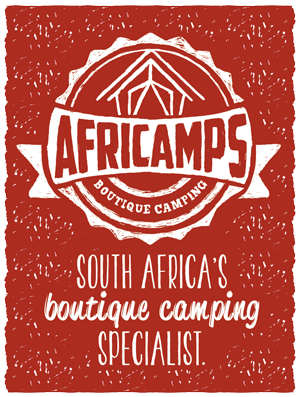 With our third location, AfriCamps at Pat Busch Mountain Reserve situated in Robertson we are sure that you will find these activities and many others to keep you entertained when you come and stay with us. No one I know ever wins ANYTHING. But, then!